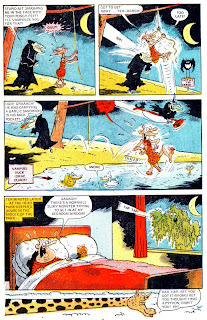 Badtime Bedtime Books were a splendiferous idea. 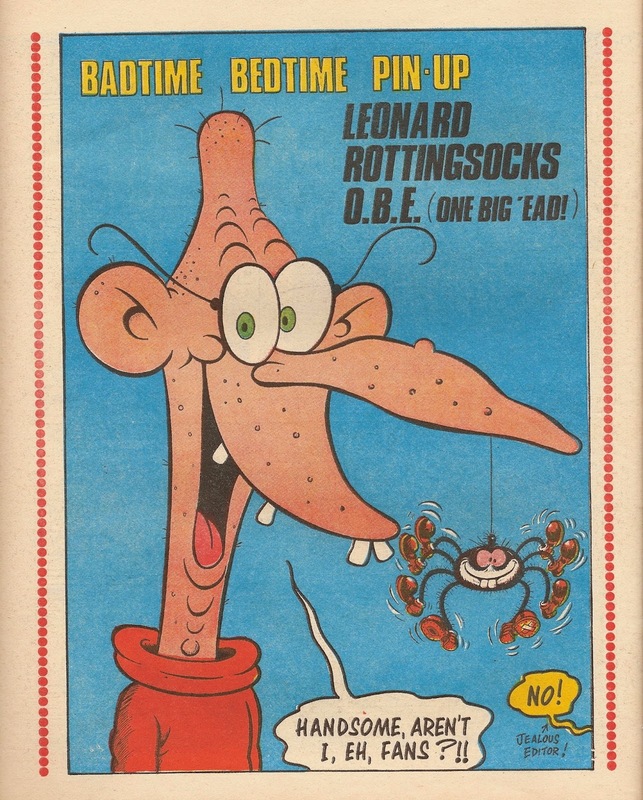 They were 'extra' comics stuck in the centre of Monster Fun, being the middle four pages that you had to cut out, fold over to make an eight page book, then sneak upstairs to read under the bedcovers when your parents weren't looking. 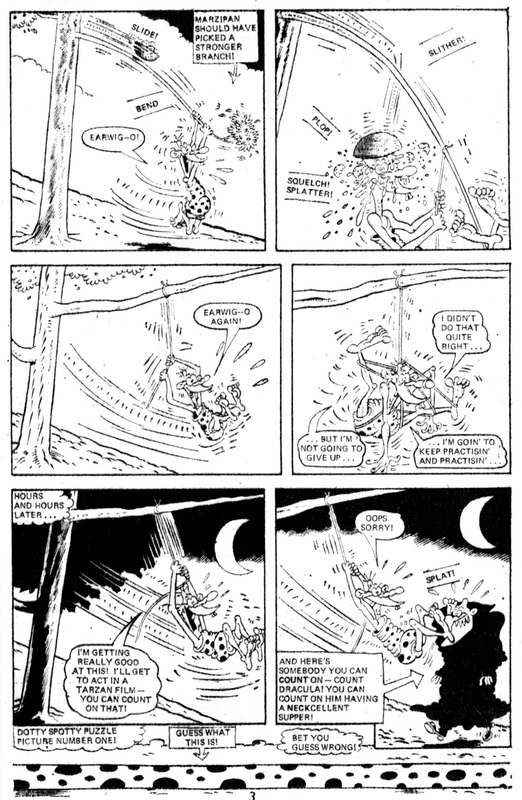 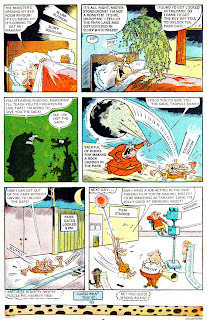 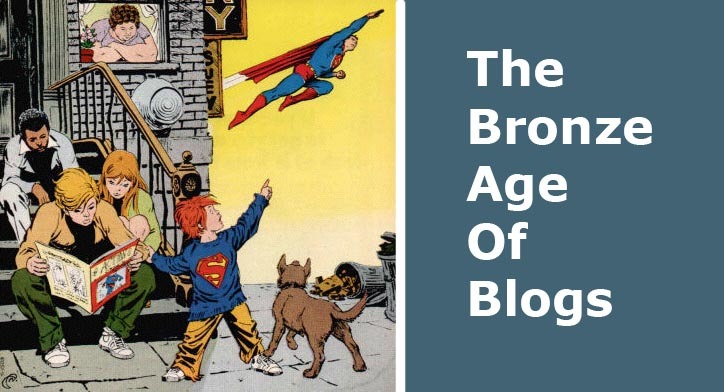 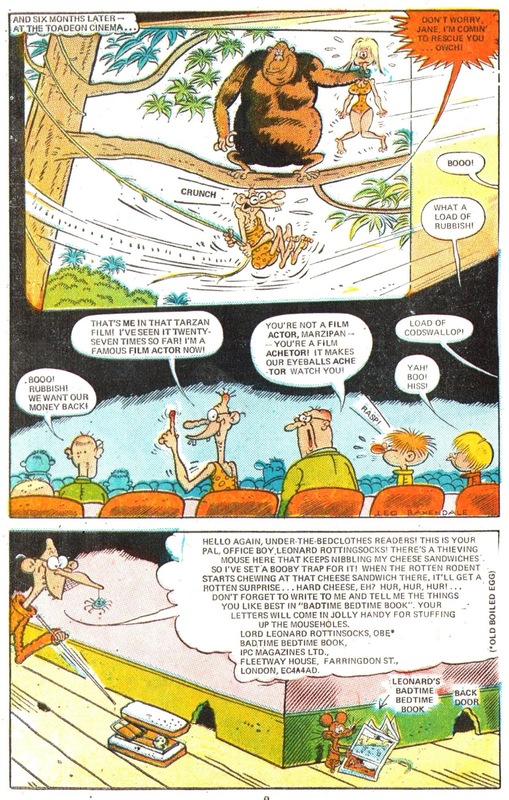 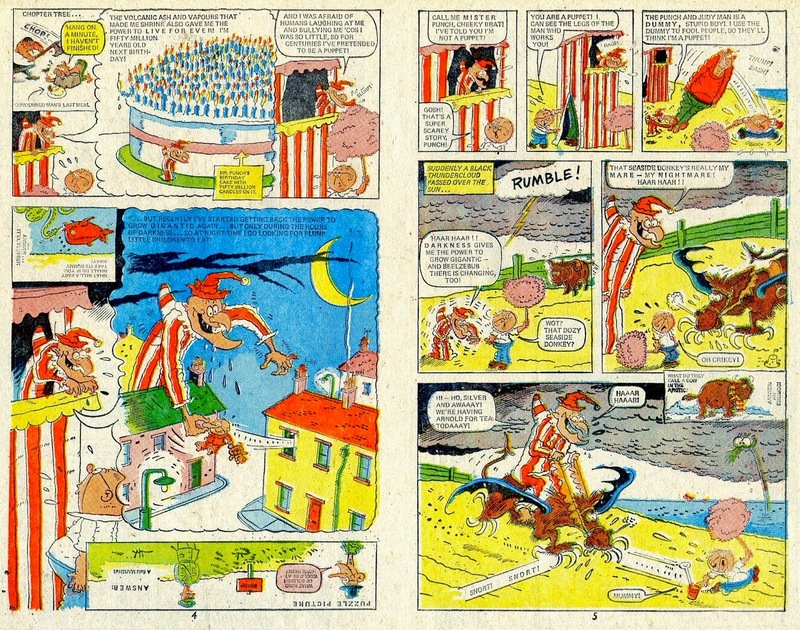 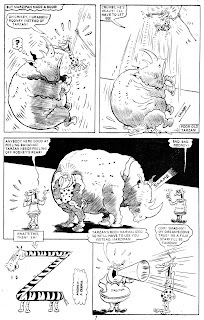 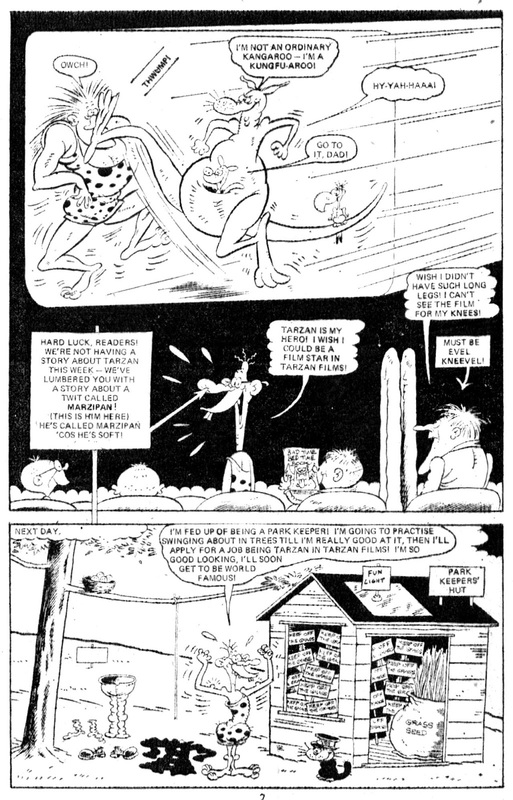 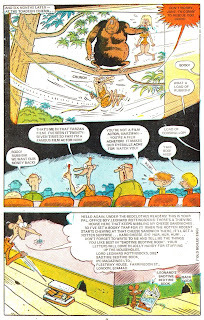 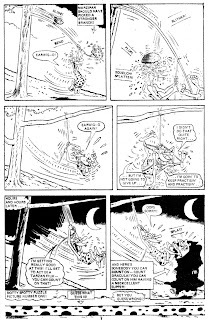 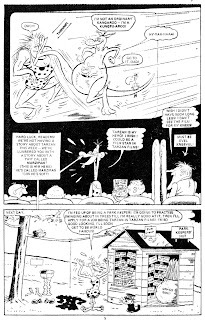 They were originally written and drawn by the legendary Leo Baxendale, and unlike usual 'extra' stuff like, say, a Robin story in the back of Batman, actually did feel like you were getting something extra special. 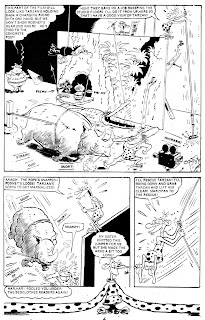 Far from being something you saved till later, Badtime Badtime Books was probably the strip you turned to first, like an infection that had invaded Monster Fun, it being just that little bit nastier and weirder than the rest of the comic. 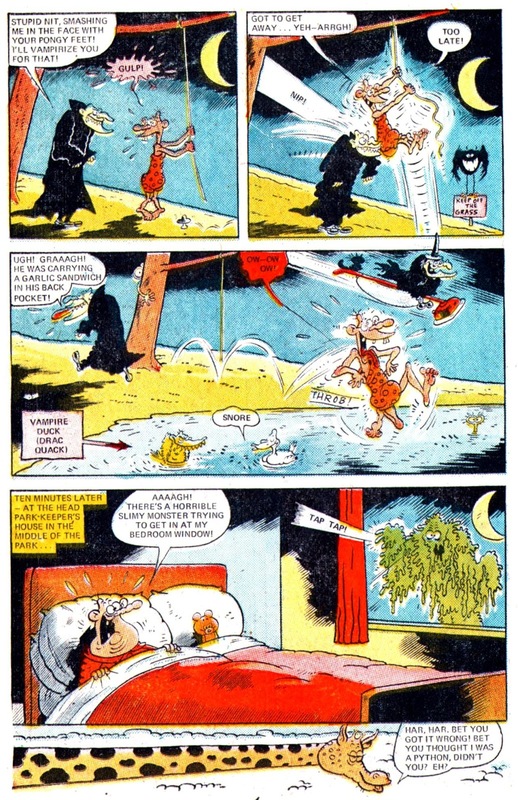 For instance, want to sleep well tonight? Don't read Punch & Chewday then. 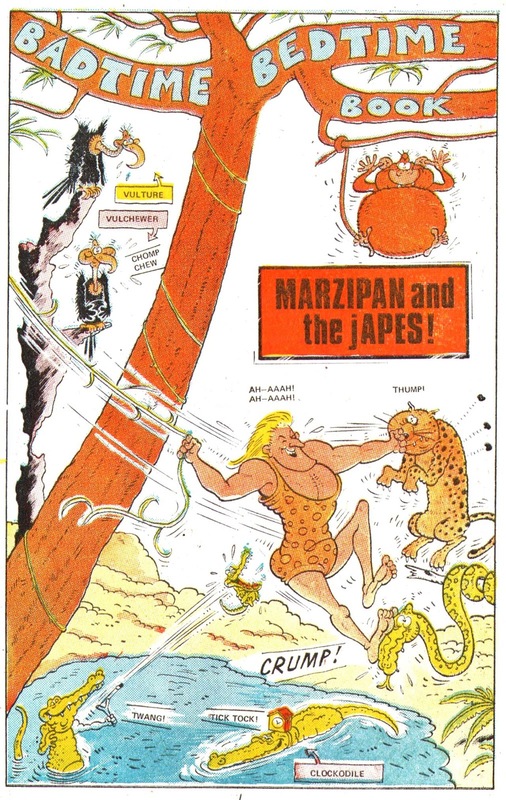 Here's a great example: Marzipan & The Japes.